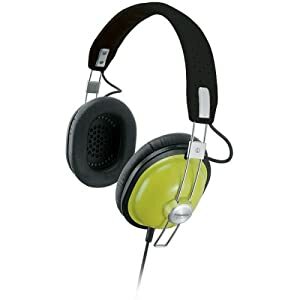 Interested in Christina’s awesome green retro style headphones? Want modern headphone performance in a lightweight comfy vintage package? Great sound and great looks aren’t mutually exclusive. The RP-HTX7 headphones put modern headphone performance in a comfy vintage package, with an ergonomic fit, a four-foot cable, and well-cushioned ear pieces. Get them if you’re interested! Thanks to Sebastian Cardona for the information.